Traffic out of Cape Town to the north has always had to use one of two roads. 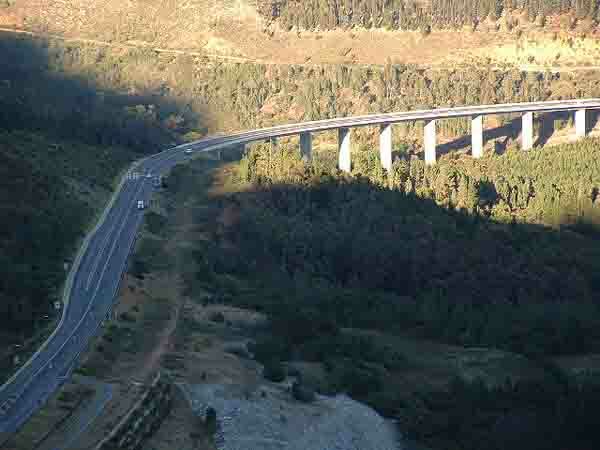 Either Bain's Kloof Pass which is a narrow road carved out of the mountain slopes high above the Breede River or Du Toit's Kloof Pass which became the main highway to the north and was often blocked by heavy trucks struggling up the long hills to the top of the pass. Both of these roads are dangerous in winter and are often blocked by large trucks driving the hills in first gear. To overcome the hazards facing motorists in these passes another way through the mountains had to be found. It was decided to heed the suggestion of Mr P A de Villiers an engineer to build a tunnel through the mountains to Worcester. It took a number of years to plan the project but eventually in 1984 work was started. At the time it was decided to build two tunnels next to each other so that in the future should road traffic become too heavy the second tunnel could be utilised. Excavation of the tunnels was done using the drill and blast method and teams started on either side of the mountain working towards the centre. A margin of error of only 3 mm was achieved when the tunnels met in 1986. Quite an achievement taking into account that the tunnels are not straight but in the shape of an elongated “S”. The approach road to the tunnel. When entering one end of the 3.9 kilometre tunnel the other end cannot be seen. The southern tunnel was completed and on the 18th March 1988 the Huguenot Tunnel was opened. 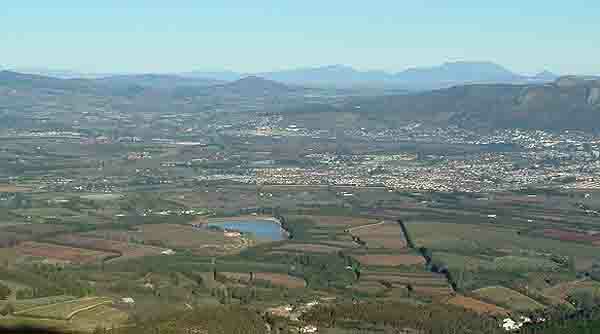 It has cut the distance travelled between Cape Town and Worcestor by eleven kilometres. The benefits of the tunnel have been huge and over the 16 years that it has been in use has saved many millions of litres of petrol and diesel as well as wear and tear on vehicles travelling to and from Cape Town. The second tunnel to the north has yet to be completed. At present it is a shell with its roof and sides having been smoothed by cement blasted against it. The gravel road through the tunnel has not been completed although it is passable should vehicles need to use it for any reason. At present it is used for emergencies to evacuate people from the main tunnel in the event of a fire or a accident. When I visited the tunnel recently I was most surprised to find it in the condition that it is. I was always under the impression that it looked the same as the southern tunnel. What was really interesting in the northern tunnel was the roof. Water seeps through it and drips down onto the road way. In places the dripping waters has caused stalactites to form. I was always under the impression that they took centuries to grow and yet here in a tunnel that is only 16 years old were stalactites. Most of them were about as thick as a pencil and were three or four inches long. On the Cape Town side of the tunnel there was one that was a good foot long and about as thick as a carrot. As I am not an expert maybe someone can explain to me why these stalactites appear to be growing so fast The climate in the tunnel was also strange. When I entered the tunnel at about 3.00pm it seemed to be misty inside and very cold. At about 8.00 pm in the evening I had to go back inside and it had warmed up considerably. I don't know whether the film crew in the tunnel had anything to do with the temperature but I doubt it. The worst part of my visit was the fact that I did not have my camera with me so I am unable to show you photos of the inside of the tunnel. Cape Town a prime holiday destination has many interesting places to see and visit.